A biogenic substance is a product made by or of life forms. The term encompasses constituents, secretions, and metabolites of plants or animals. In context of molecular biology, biogenic substances are referred to as biomolecules. A biomolecule or biological molecule is a loosely used term for molecules and ions that are present in organisms, essential to some typically biological process such as cell division, morphogenesis, or development. Biomolecules include large macromolecules such as proteins, carbohydrates, lipids, and nucleic acids, as well as small molecules such as primary metabolites, secondary metabolites, and natural products. A more general name for this class of material is biological materials. Biomolecules are usually endogenous but may also be exogenous. For example, pharmaceutical drugs may be natural products or semisynthetic (biopharmaceuticals) or they may be totally synthetic. A gland is a group of cells in an animal's body that synthesizes substances for release into the bloodstream or into cavities inside the body or its outer surface. A nutrient is a substance used by an organism to survive, grow, and reproduce. The requirement for dietary nutrient intake applies to animals, plants, fungi, and protists. Nutrients can be incorporated into cells for metabolic purposes or excreted by cells to create non-cellular structures, such as hair, scales, feathers, or exoskeletons. Some nutrients can be metabolically converted to smaller molecules in the process of releasing energy, such as for carbohydrates, lipids, proteins, and fermentation products, leading to end-products of water and carbon dioxide. All organisms require water. Essential nutrients for animals are the energy sources, some of the amino acids that are combined to create proteins, a subset of fatty acids, vitamins and certain minerals. Plants require more diverse minerals absorbed through roots, plus carbon dioxide and oxygen absorbed through leaves. Fungi live on dead or living organic matter and meet nutrient needs from their host. Exocrine glands are glands that produce and secrete substances onto an epithelial surface by way of a duct. 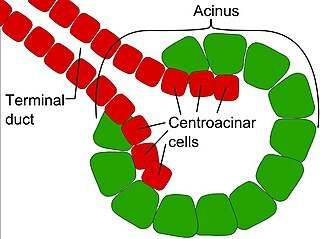 Examples of exocrine glands include sweat, salivary, mammary, ceruminous, lacrimal, sebaceous, and mucous. Exocrine glands are one of two types of glands in the human body, the other being endocrine glands, which secrete their products directly into the bloodstream. The liver and pancreas are both exocrine and endocrine glands; they are exocrine glands because they secrete products—bile and pancreatic juice—into the gastrointestinal tract through a series of ducts, and endocrine because they secrete other substances directly into the bloodstream. Musk is a class of aromatic substances commonly used as base notes in perfumery. They include glandular secretions from animals such as the musk deer, numerous plants emitting similar fragrances, and artificial substances with similar odors. Musk was a name originally given to a substance with a strong odor obtained from a gland of the musk deer. The substance has been used as a popular perfume fixative since ancient times and is one of the most expensive animal products in the world. The name originates from the Late Greek μόσχος 'moskhos', from Persian 'mushk', ultimately from Sanskrit मुष्क muṣka meaning "a testicle", from a diminutive of मूष् mūṣ ("mouse"). The deer gland was thought to resemble a scrotum. It is applied to various plants and animals of similar smell and has come to encompass a wide variety of aromatic substances with similar odors, despite their often differing chemical structures and molecular shapes. Excretion is a process by which metabolic waste is eliminated from an organism. In vertebrates this is primarily carried out by the lungs, kidneys and skin. This is in contrast with secretion, where the substance may have specific tasks after leaving the cell. Excretion is an essential process in all forms of life. For example, in mammals urine is expelled through the urethra, which is part of the excretory system. In unicellular organisms, waste products are discharged directly through the surface of the cell. 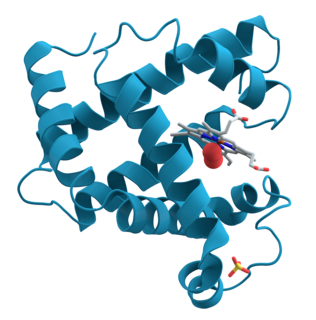 A biogenic amine is a biogenic substance with one or more amine groups. They are basic nitrogenous compounds formed mainly by decarboxylation of amino acids or by amination and transamination of aldehydes and ketones. Biogenic amines are organic bases with low molecular weight and are synthesized by microbial, vegetable and animal metabolisms. In food and beverages they are formed by the enzymes of raw material or are generated by microbial decarboxylation of amino acids. Pharmacognosy is the study of plants or other natural sources as a possible source of drugs. The American Society of Pharmacognosy defines pharmacognosy as "the study of the physical, chemical, biochemical and biological properties of drugs, drug substances or potential drugs or drug substances of natural origin as well as the search for new drugs from natural sources". Abiogenic petroleum origin is a term used to describe a number of different hypotheses which propose that petroleum and natural gas deposits are mostly formed by inorganic means rather than by the decomposition of organisms. 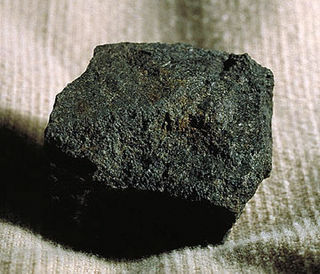 Thomas Gold's deep gas hypothesis states that the origin of some natural gas deposits were formed out of hydrocarbons deep in the earth's mantle. Theories explaining the origin of petroleum as abiotic, however, generally not well accepted by the scientific community. Siljan, in Dalarna in central Sweden, is Sweden's sixth largest lake. The cumulative area of Siljan and the adjacent, smaller lakes Orsasjön and Insjön is 354 km2 (137 sq mi). Siljan reaches a maximum depth of 134 m (440 ft), and its surface is situated 161 m (528 ft) above sea level. The largest town on its shore is Mora. A biosignature is any substance – such as an element, isotope, or molecule – or phenomenon that provides scientific evidence of past or present life. Measurable attributes of life include its complex physical and chemical structures and also its utilization of free energy and the production of biomass and wastes. 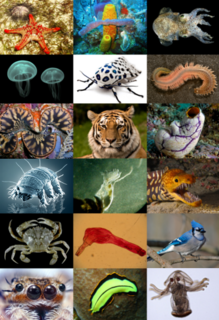 Due to its unique characteristics, a biosignature can be interpreted as having been produced by living organisms; however, it is important that they not be considered definitive because there is no way of knowing in advance which ones are universal to life and which ones are unique to the peculiar circumstances of life on Earth. 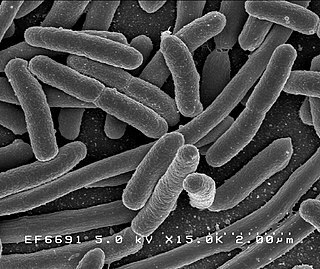 Nonetheless, life forms are known to shed unique chemicals, including DNA, into the environment as evidence of their presence in a particular location. A natural product is a chemical compound or substance produced by a living organism—that is, found in nature. In the broadest sense, natural products include any substance produced by life. Natural products can also be prepared by chemical synthesis and have played a central role in the development of the field of organic chemistry by providing challenging synthetic targets. The term natural product has also been extended for commercial purposes to refer to cosmetics, dietary supplements, and foods produced from natural sources without added artificial ingredients. An oil is any nonpolar chemical substance that is a viscous liquid at ambient temperatures and is both hydrophobic and lipophilic. Oils have a high carbon and hydrogen content and are usually flammable and surface active. Merriam-Webster defines chemotaxonomy as the method of biological classification based on similarities in the structure of certain compounds among the organisms being classified. Advocates argue that, because proteins are more closely controlled by genes and less subjected to natural selection than the anatomical features, they are more reliable indicators of genetic relationships. The compounds studied most are proteins, amino acids, nucleic acids, peptides etc. The term dubiofossil is a portmanteau word used in geology and paleontology for a problematic structure that looks like a fossil, but whose biologic origin is uncertain.. It has been mainly used for remains found in rocks dating from the early history of the Earth, but is also applicable in other settings such as problematic microbe-like forms in meteorites. ↑ Raju Francis, D.; Sakthi, Kumar (2016). Biomedical Applications of Polymeric Materials and Composites. John Wiley & Sons.